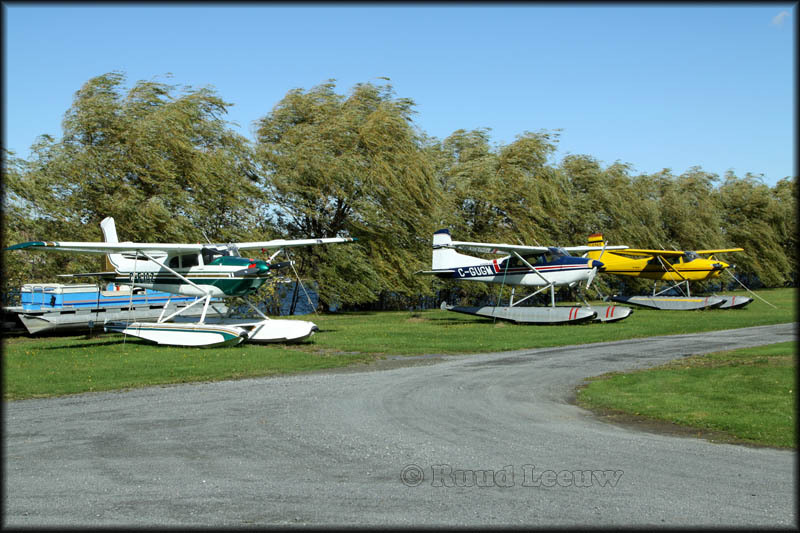 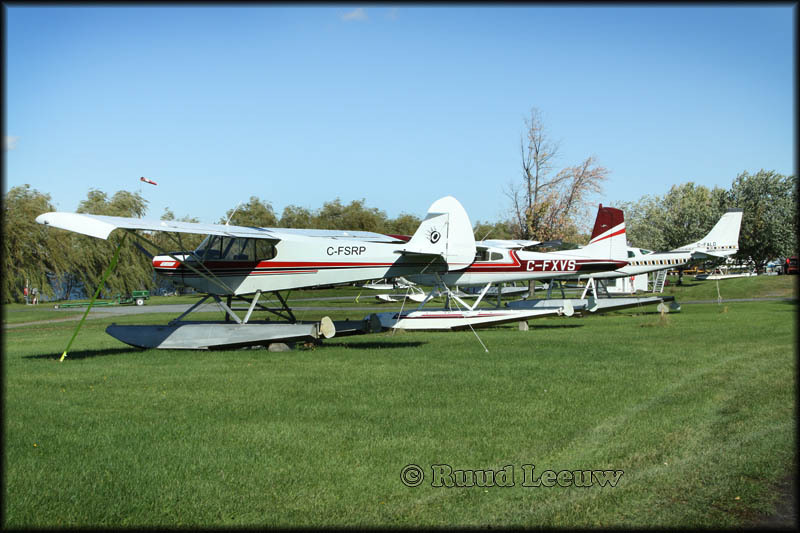 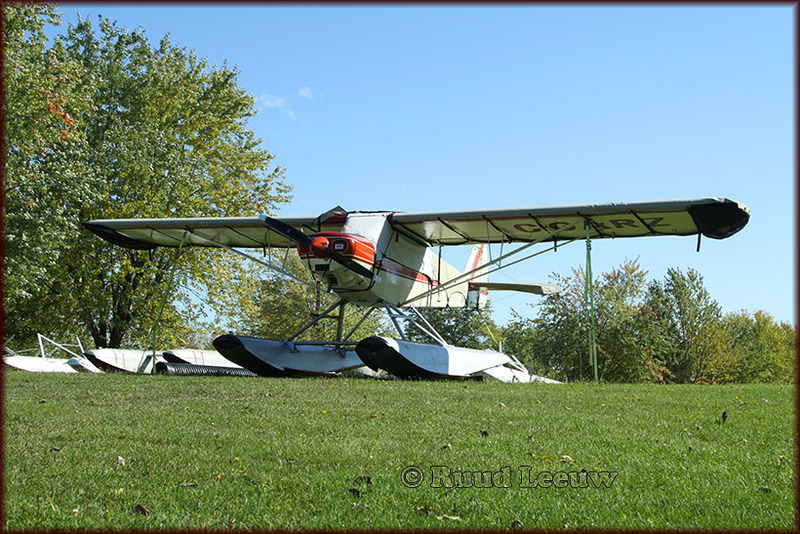 It was only a short drive, on the beautiful and warm sunday morning of 11Oct09, from Montreal-St.Hubert Airport to the airstrip and seaplane base of Saint Mathias-sur-Richelieu, Quebec. 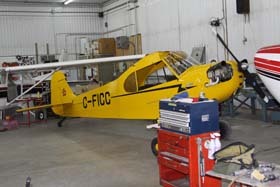 There is a maintenance base here, bringing in bushplanes and floatplanes for overhaul, modifications and routine maintenance. 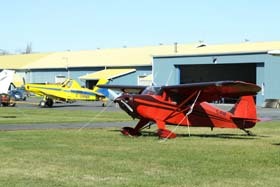 I received a warm welcome and was allowed to wander around freely, indeed had a friendly chat with some of the people present. 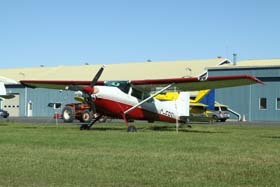 But I found the answer on Airliners.net: the tailnumber has been applied incorrectly and should read C-FZVR. 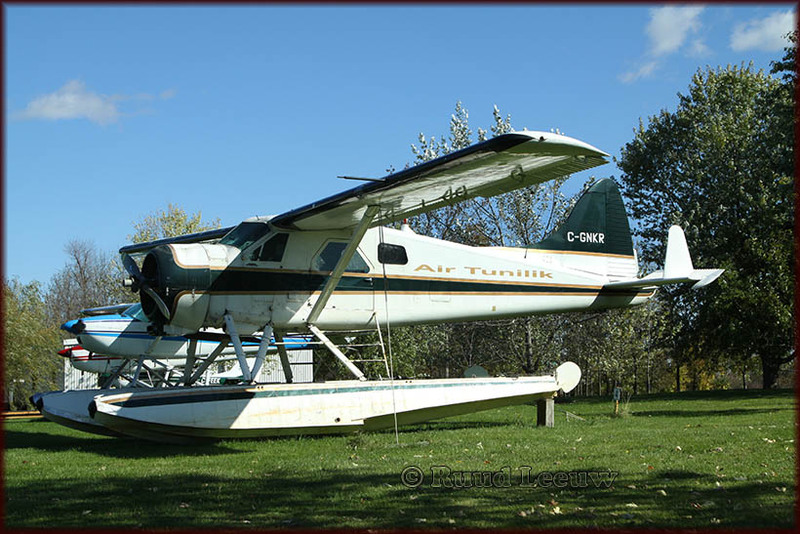 C-FZVR was registered to '1067901 Alberta Ltd' of Whitecourt,Alberta on 12Apr05. DHC-2 Mk.1 - c/n 639 - N2734A, N563, CF-ZVR, C-FZVR. 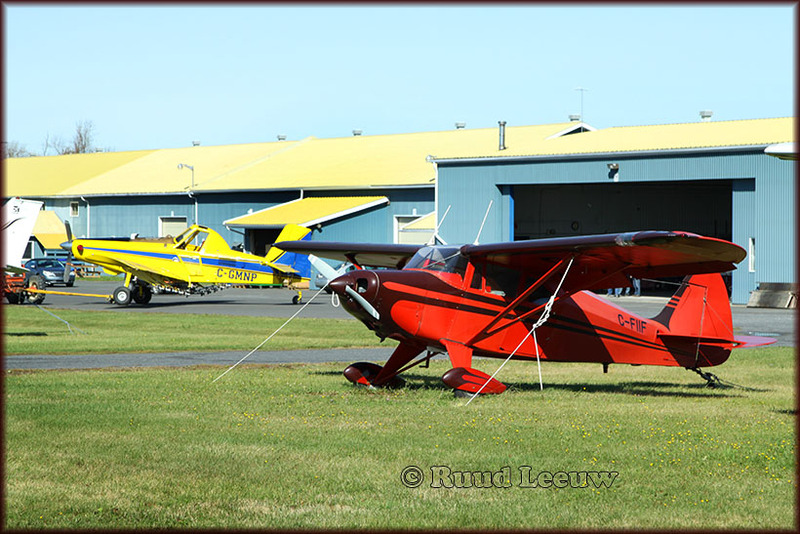 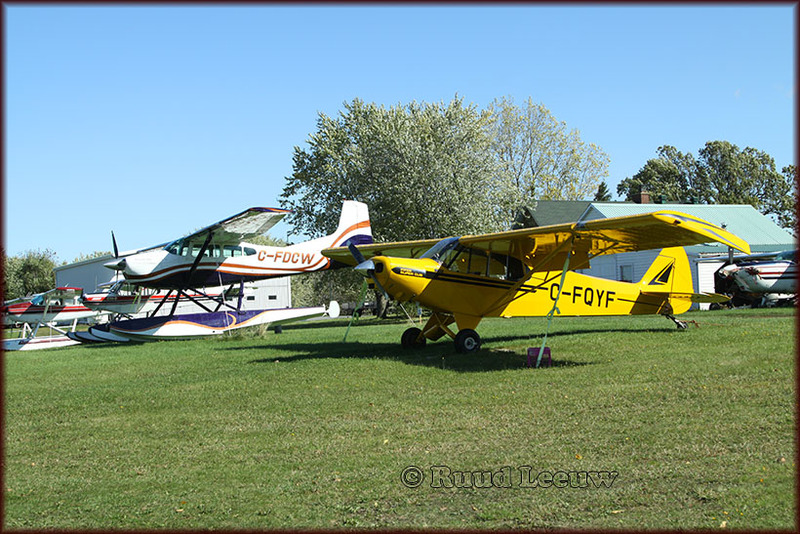 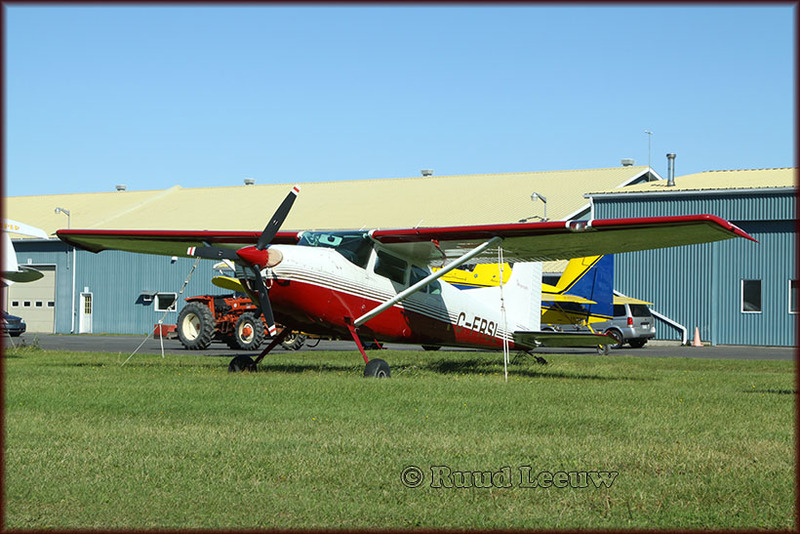 There was a large variety of aircraft to be seen here today at St. Mathias-sur-Richelieu. 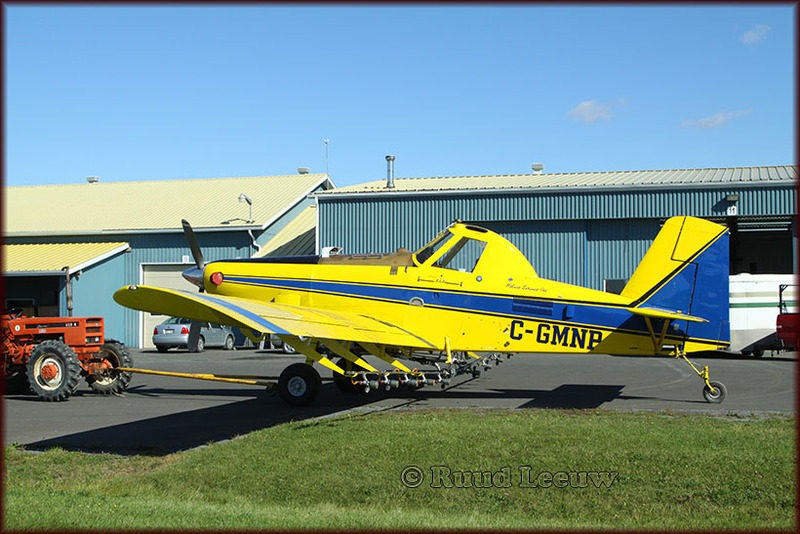 Piper PA-12 C-FNCM (c/n 12-1333) was registered to Gerard St.Laurent of Noyan,Que on 19Mar87 but seems no longer current. 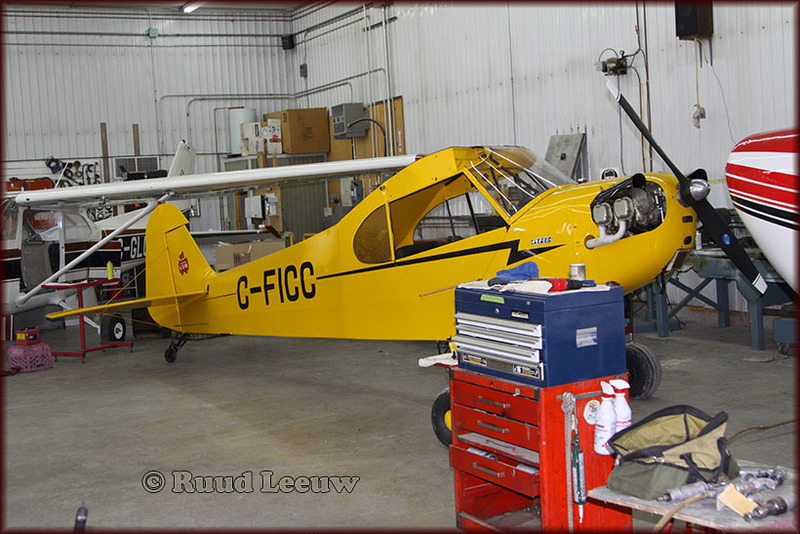 Restoration of Aeronca Super L3B C-FEQA (43-27093) is nearing completion after many years of work and dedication. 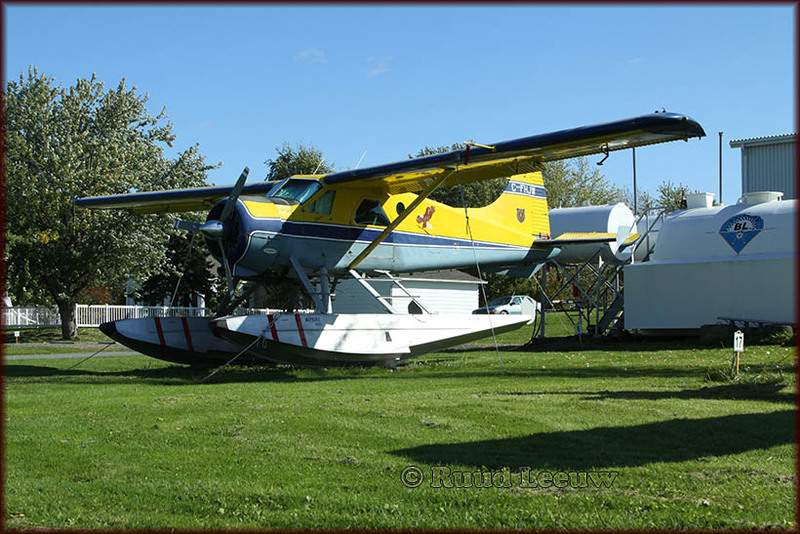 It has since been registered to Yvon Guertin of Marieville,QUE since 24Nov09. Piper J3C-65 C-FICC (c/n 20887), registered to J.Paquin of Charlesbourg,QUE. 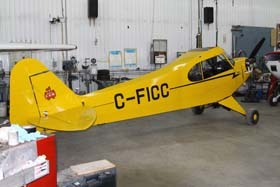 See also C-FIIF above. 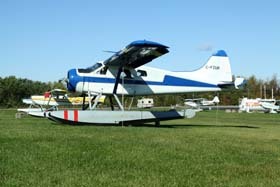 DeHavilland Canada DHC-2 Mk.1 C-FHJW (c/n 590) of Hubert Laurin (St.Mathias,QUE) R12Mar98. 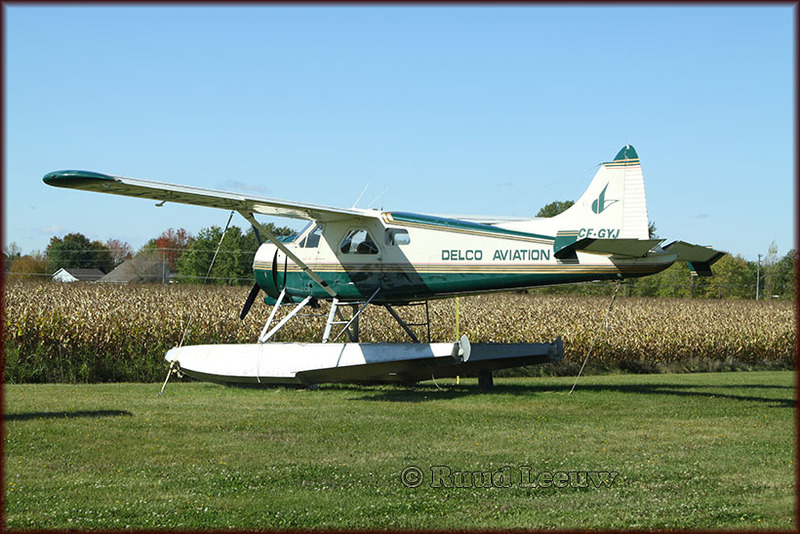 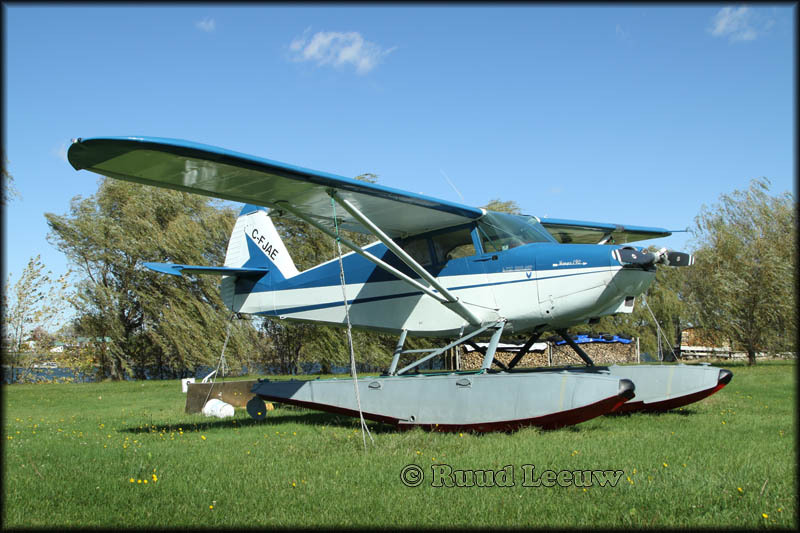 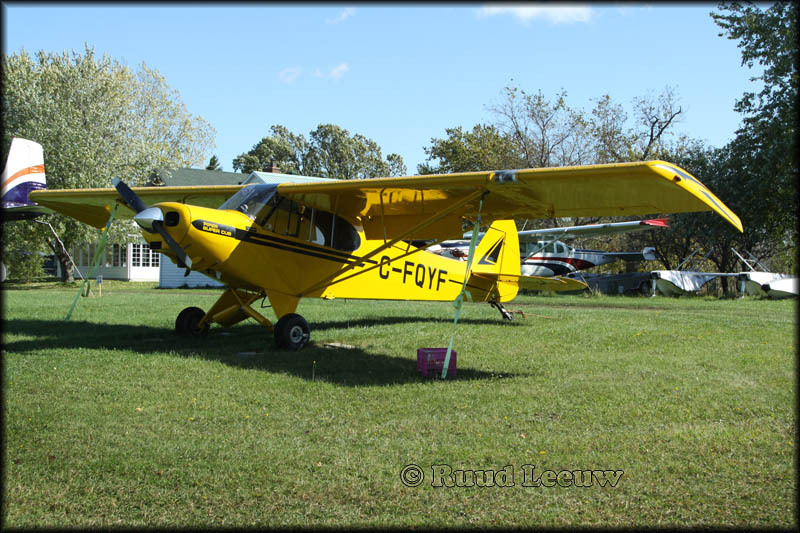 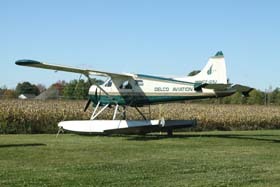 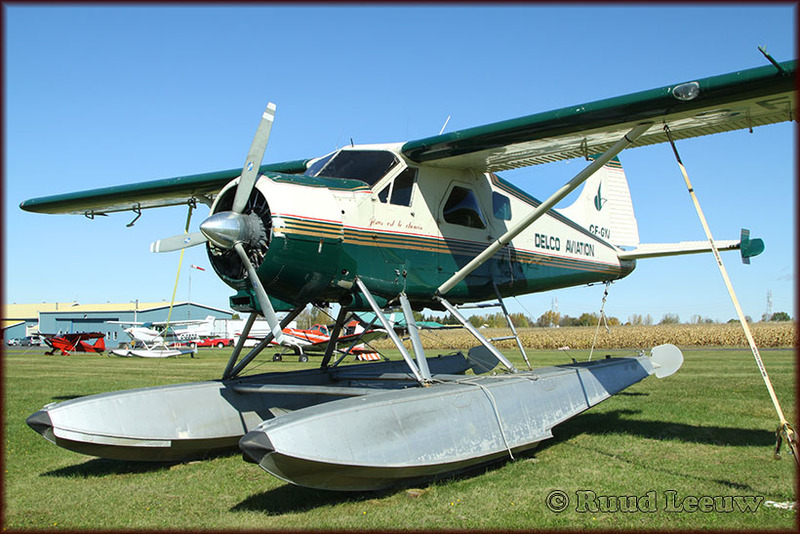 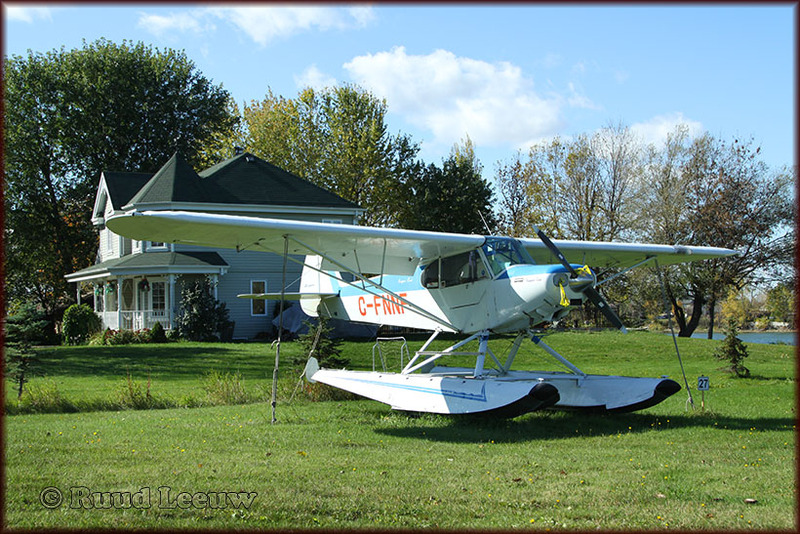 This DHC-2 Beaver was delivered on 29Apr1954 as CF-HJW to Aerial Photo Co. Ltd. Next owner was Propair Ltée. 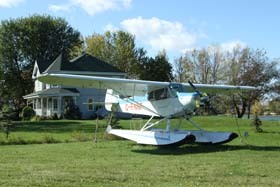 in Quebec. 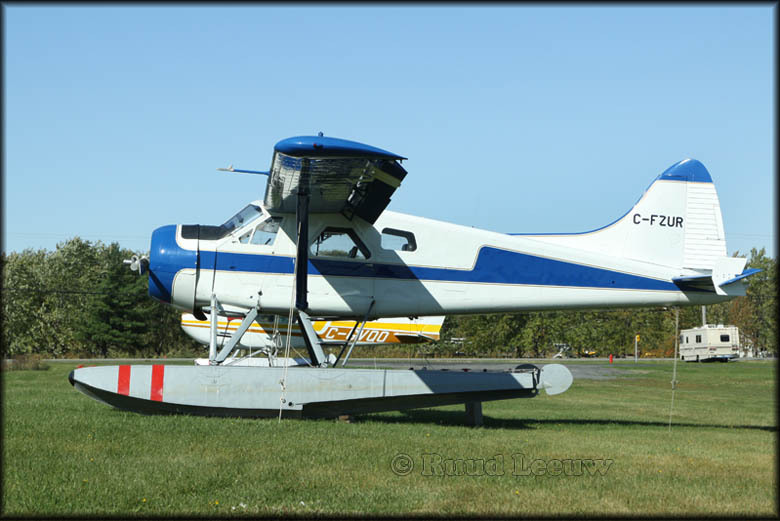 Registration was revised to C-FHJW for Alexandair Inc. (Las des Rapides / Sept îles, Quebec). 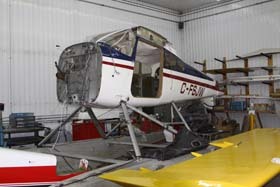 Proclaimed for sale during Feb94 for $119,000. 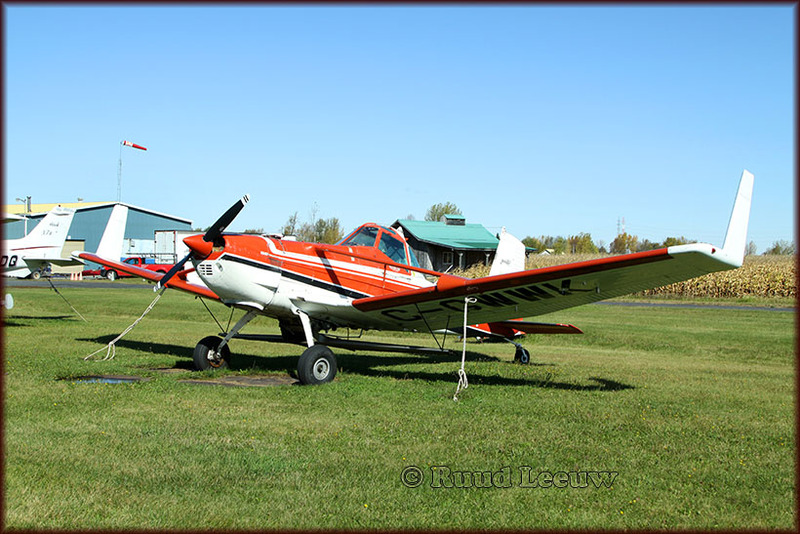 Registered 17Dec97 for Les Placements J S G P Inc. (Laval-des-Rapides, Quebec) and to Hubert Laurin of St.Mathias on 12Mar98. 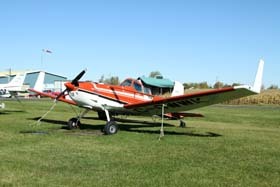 Piper PA-18S-150 C-FNNF (c/n 18-3666). 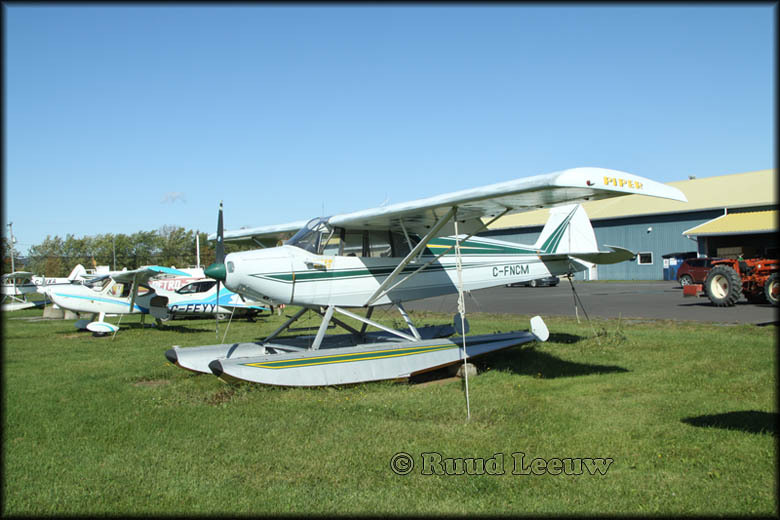 Piper PA-18A-150 C-FQYF (c/n 18-4944), Guy Bernier (St.Mathias,QUE), R13Jun97. 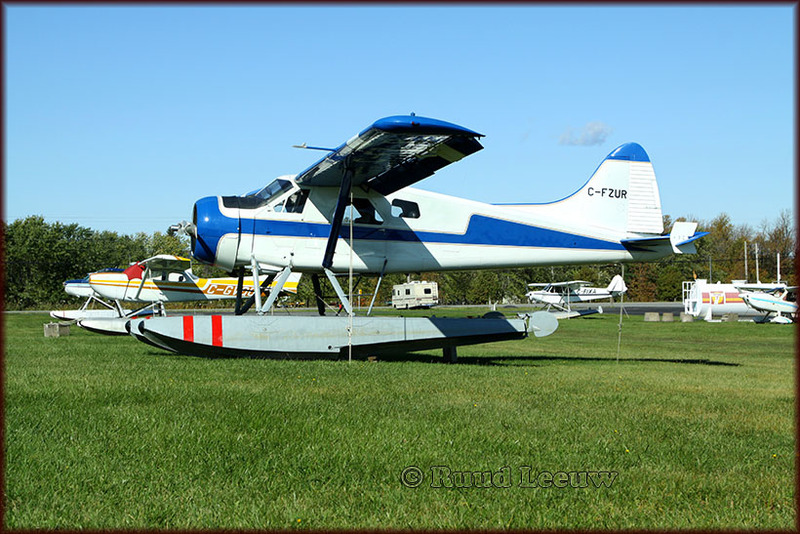 de Havilland Canada DHC-2 Beaver C-GNKR (c/n 331), Air Tunilik Inc. (Montreal,QUE), R04Jun04. 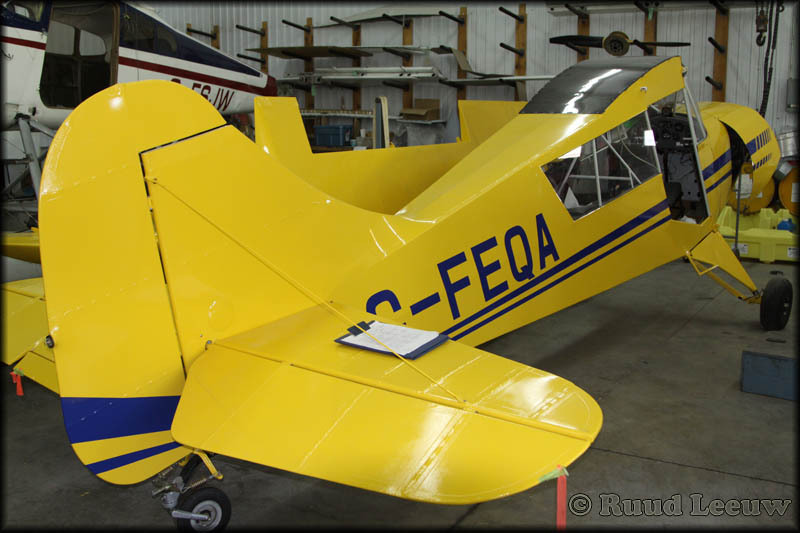 This Beaver was delivered on 01Aug52, with serial 51-16538 to the USAF (designated an L-20). 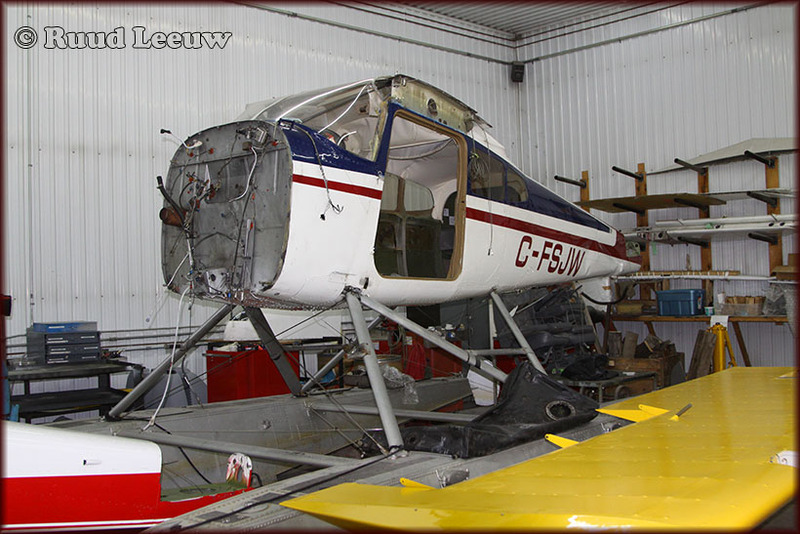 Civil service started with tailnumber N5698 and was subsequently exported to Canada in 1975. 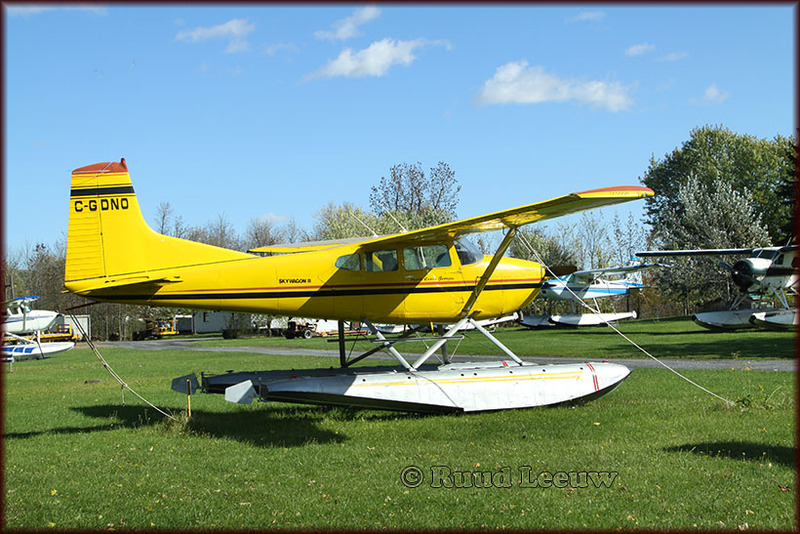 As C-GNKR it became registered during June 1975 to Rogerson's Enterprises of Port Loring, Ontario. 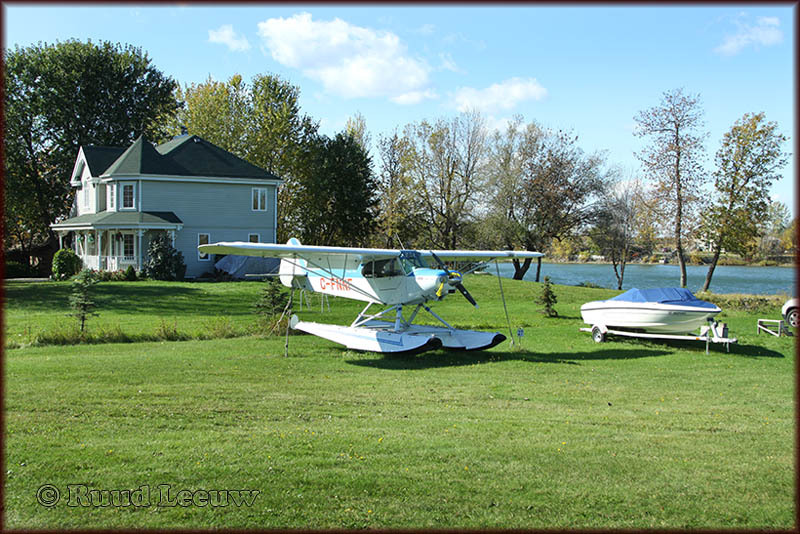 Registered on 21Oct91 to Excavation J. Baillargeon Inc. of Boucherville, Québec and based at Based St-Denis,QUE. 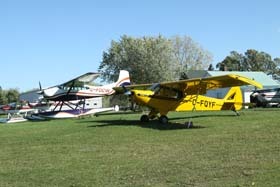 Then to Nordplus 1998 Ltée. 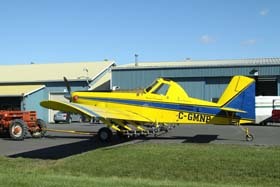 (Québec,QUE),R26Aug2003. 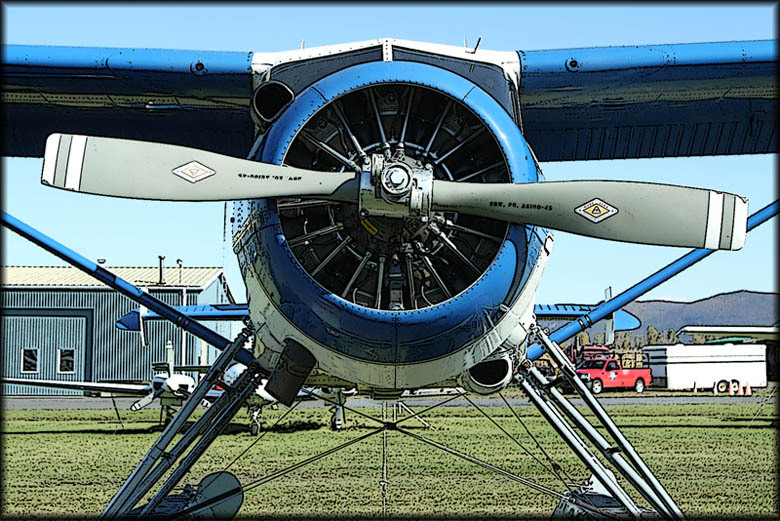 The Stinson 108 was a popular general aviation aircraft produced by the Stinson division of the American airplane company Consolidated Vultee, from immediately after World War II to 1950. 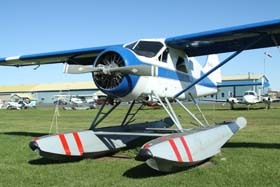 It was developed from the prewar Model 10A Voyager. Stinson was bought by Piper Aircraft. 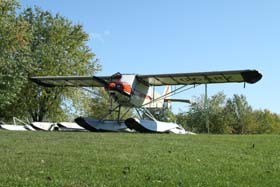 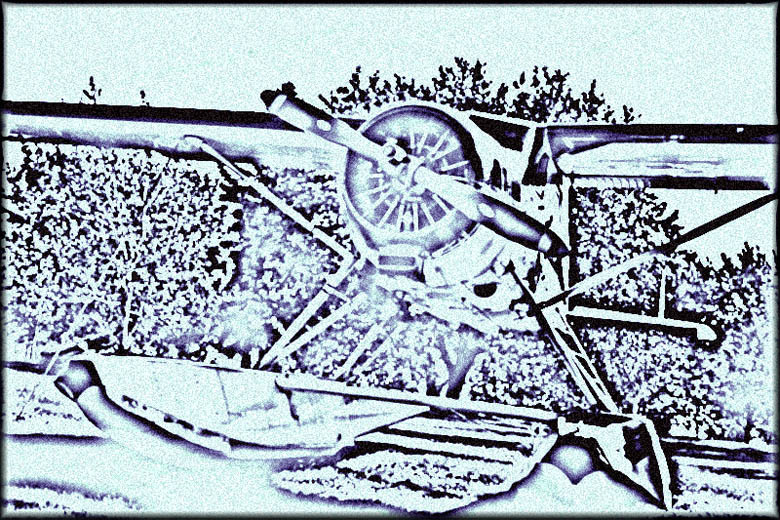 All Stinson models 108, 108-1, 108-2, 108-3 and 108-4 aircraft were built by Stinson at Wayne, Michigan. 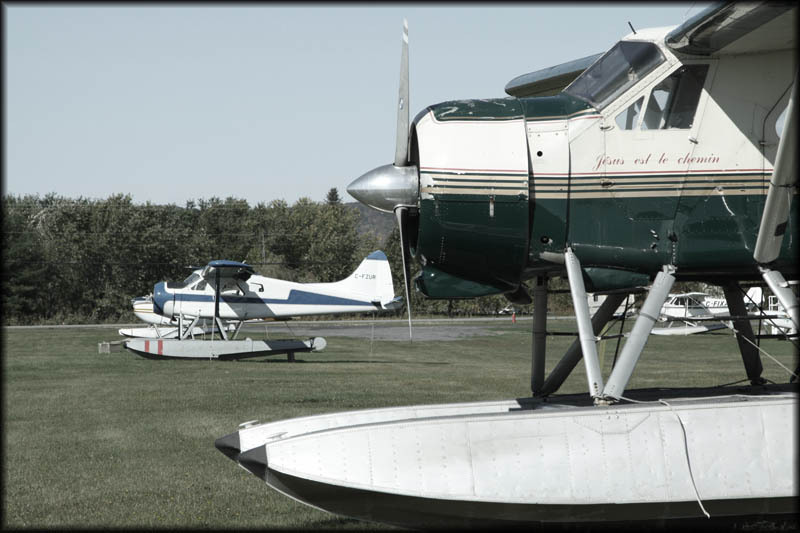 When Stinson sold the type certificate to Piper in 1948, approximately 325 airplanes of the 5,260 model 108's built by Stinson were complete but unsold. 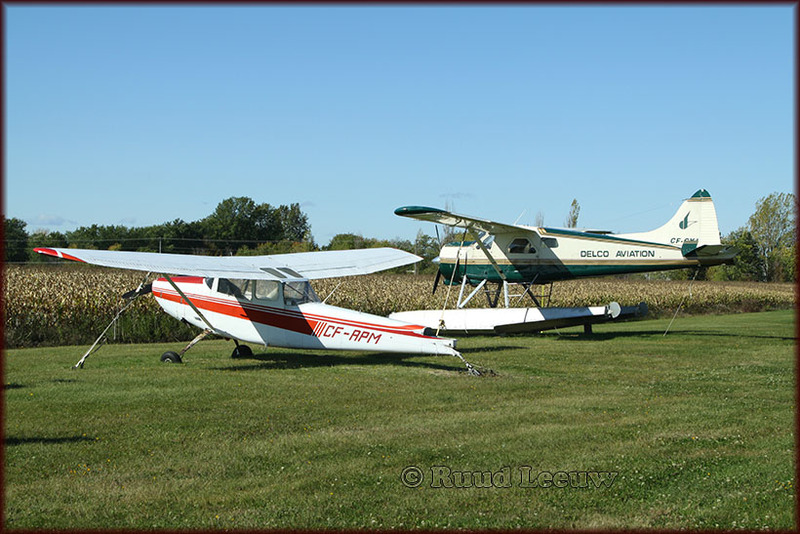 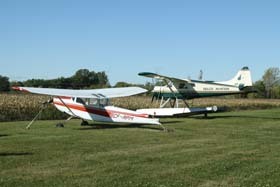 These 325 model 108's went to Piper as part of the sale. 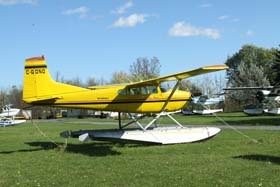 Piper then sold that inventory as the Piper-Stinson over the next few years.